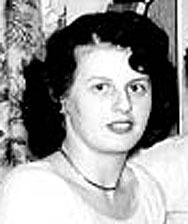 Elizabeth Rita Ross Kincel. 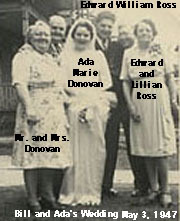 Edward (Bill) William Ross, Jr. Ada Donovan and Bill Ross on their wedding day. 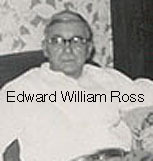 Robert J. Ross. 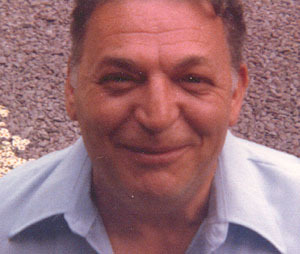 Lorraine Ross. 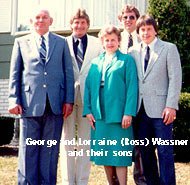 Lorraine Ross Wassner and George Wassner with their boys. 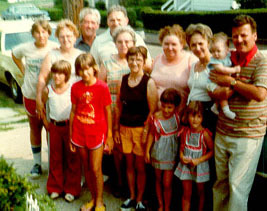 Ross Family Get-together about 1976.